2018 is a milestone year for SWAN. We mark the tenth year of our formation. This year, we are convening our Tenth Annual Conference. SWAN brings together women leaders, parliamentarians, academicians, experts, activists and media representatives from nine countries : Afghanistan, Bangladesh, Bhutan, India, Myanmar, Maldives, Nepal, Pakistan, and Sri Lanka. SWAN coordinates its activities through eight sectoral networks, also called SWANs, respectively dealing with the Environment; Arts and Literature; Women in Peacemaking; Health, Nutrition and Food Sovereignty; Education; Crafts and Textiles; Finance, Livelihoods and Entrepreneurship Development; and Women in Media. SWAN was established in March 2009 at the Conference on “Women of South Asia : Partners in Development” convened at Jamia Millia Islamia University, New Delhi. This Conference was inaugurated by Nobel Laureate Professor Muhammad Yunus of Bangladesh. Initially, SWAN was located within Jamia Millia Islamia University. Subsequently, SWAN functioned as a programme of the South Asia Foundation (SAF-India), New Delhi, a registered Trust. Since June 2017, SWAN, now registered as an Article 64 Trust under the Indian Trusts Act of 1882, is functioning independently, with Professor Veena Sikri as the Founding Trustee and Convener. South Asia is endowed with rich natural resources, combined with immense geographic and biological diversity. The people of South Asia share a unique cultural and civilizational heritage, including spiritual philosophies and knowledge systems. This shared diversity is South Asia’s core strength, with enormous growth potential. SWAN recognises the serious challenges facing the women of South Asia, irrespective of their religious beliefs and ethnicities. These include poverty, poor maternal and child health, low educational achievements and illiteracy, violence, social injustice, economic discrimination, lack of ownership or inadequate control over resources, tremendous vulnerability during and after environmental disasters and armed conflicts, and the socio-political and bureaucratic culture that undermines and constrains women in myriad spheres of national life. These challenges have defied solution, despite decades of effort by individual governments, which have yielded far too few successes. Despite several outstanding examples of individual and collective achievements, women across South Asia still constitute an overwhelmingly large body of underprivileged citizens, surviving within the limits of an environment that remains largely hostile. SWAN emphasises the importance of gender empowerment as the key to sustainable economic growth, social development and environmental sustainability in South Asia. SWAN’s vision is to achieve sustainable development for South Asia through an integrated approach incorporating the centrality of women’s agency, voice, participation and leadership in all the three dimensions of sustainable development : socio-political, economic and environmental. SWAN’s strategy for achieving this is based on strengthening partnerships through an institutional network across South Asia, working together to agree upon policy recommendations for governments, (including resistance to policies that perpetuate inequality, inequity and injustice); to develop leadership skills among the women of South Asia in order that they are empowered with the relevant education and conceptual, managerial, and technical knowledge to lead the movement for sustainable development in this region; and to focus on capacity building for change at all levels. 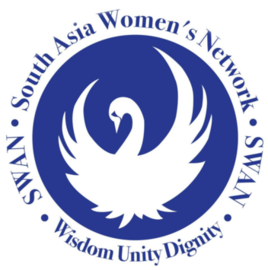 Incorporating this vision and strategy, SWAN finalized and adopted its “Roadmap for Sustainable Development for the Women of South Asia” at its Fifth Annual Conference in Colombo in August 2013. At its Sixth Annual Conference in Thimphu in September 2014, SWAN planned the first phase of its activities in implementation of SWAN’s Roadmap, agreeing upon priorities and specific Intervention Programmes (IPs) in identified sectors and areas. The Thimphu Conference was preceded by the Workshop on “Ecotourism for Sustainable Development and Gender Empowerment in South Asia”, which has now evolved into a major SWAN project on Rural Tourism, for which financial support is being sought from the SAARC Development Fund. SWAN’s Annual Conferences are vital and invaluable for conceptualizing and planning specific activities that are then implemented over the next 12 months. The Annual Conferences bring together key stakeholders from nine South Asian countries, those involved in the projects and activities under consideration. Through the Seventh Annual Conference in Maldives (October 2015), the Eighth Annual Conference in Yangon, Myanmar (October 2016), and the Ninth Annual Conference in Kathmandu (November 2017) SWAN has successfully transitioned to the implementation phase, focused on projects for empowering the women of South Asia. These Conferences guided the major SWAN project, currently in its second phase of implementation (the first phase having been successfully completed), the UNESCO SWAN Initiative on “Women for Change : Building a Gendered Media in South Asia”. At its Ninth Annual Conference in Kathmandu, SWAN agreed to embark on its third major project covering all aspects of “Women’s Health and Nutrition in South Asia”. South Asia Foundation1 (SAF-India) http://www.southasiafoundation.org has supported SWAN since its very inception in March 2009. SAF-India continues to support SWAN’s Annual Conferences, convened by rotation in the capitals (or other regions) of the participating South Asian nations. 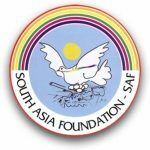 1 Founded by UNESCO Goodwill Ambassador Madanjeet Singh in 2000, the South Asia Foundation (SAF) is a secular, non-profit and non-political organization, comprising eight autonomous chapters: Afghanistan, Bangladesh, Bhutan, India, Maldives, Nepal, Pakistan and Sri Lanka. SAF’s core objective is to promote regional cooperation through a number of UNESCO Madanjeet Singh Institutions of Excellence in the eight SAARC countries, offering courses in Preservation of Cultural Heritage (Kabul), Human Rights and Common Law (Dhaka), Forestry Studies (Bumthang, Bhutan), Journalism (Chennai), Kashmir Studies (Srinagar), Regional Cooperation (Pondicherry), Green Energy Technology (Pondicherry), Climate Research (Maldives), Development Studies (Kathmandu), Visual Arts (Lahore), South Asian Studies (Lahore), Water Management (Moratuwa, Sri Lanka).